To contend with unwanted hair on their legs, underarms, upper lip and bikini lines, women in Toronto try any number of painful and time-consuming techniques. 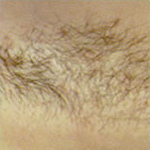 Men, too, deal with unwanted hair growth that ranges from unattractive back hair to excessively thick eyebrows. Shaving is a constant annoyance. Waxing is painful. And neither delivers the permanent results that people really want. 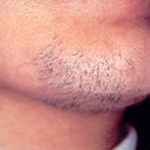 If you have unwanted hair somewhere on your body, you aren’t alone. In fact, almost everybody does. But now they don’t have to. Laser hair removal at Laser Essential & Skin Care clinic in Toronto has helped thousands of people eliminate unwanted hair, affordably, and permanently. Our clinic uses state-of-the-art laser technology that allow us to customize our treatment to each patient’s needs. Regardless of your hair color and skin type, Laser Essential & Skin Care clinic has the right laser technology to eliminate your unwanted hair. Make shaving, plucking and waxing a thing of the past, and turn to laser technology for proven results that will get rid of your unwanted hair. Laser hair removal treatments send highly controlled Laser energy to the root of each hair follicle just below the surface of the skin. 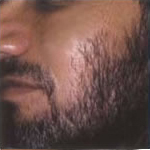 The laser energy is absorbed, heating and destroying the follicle root, preventing the hair from growing back. No damage is done to the tissue surrounding the hair follicles. Pigment in hair shaft absorbs the laser energy. 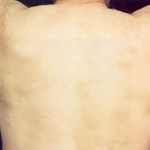 The resulting heat damage each follicle. Every hair follicle goes through three different stages during its lifecycle. 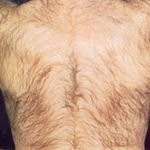 Because hair is most vulnerable to laser hair removal treatment during only one of those stages, several rounds of treatment are typically required to completely destroy each follicle. 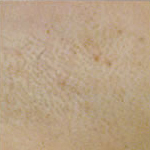 Prior to treatment, hair above the surface of the skin is removed, leaving the laser treatment to target only the follicle roots below the surface. Each pulse of laser is accompanied by a slight sting or pinch. Topical anesthetics are available, but most patients do not require them. To help patients manage the slight twinges of discomfort, Laser Essential & Skin Care clinic offers the cooling effects of our Synercool Cryotherapy system, which blows a steady stream of cool air onto the area being treated making the procedure more comfortable . We are one of a few clinics in Toronto that uses the Zimmer Cryo Chiller technology, and we offer it to patients free of charge. Can laser hair removal treat all kinds of hair? Yes. The lasers used at Laser Essential & Skin Care clinic are state-of-the-art, FDA-approved and allow us to customize each treatment based on a patient’s hair color, texture and body location. Any hair with at even the smallest amount of pigment in it can be treated effectively. Grey, red and blonde hair may have some effective permanent reduction but generally not effective. Is laser hair removal safe for people of all skin types? At Laser Essential & Skin Care, we are able to treat all skin type effectively. Side effects, although rare, may include slight reddening or swelling on the treated skin. Even less common is blistering or bruising. In nearly all cases where these symptoms are present, the condition typically disappears within hours. 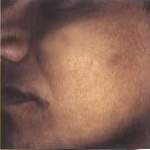 Patients may notice that skin becomes slightly lighter or darker following a treatment, but generally a person’s normal pigment returns within a few weeks. To minimize the risk of these side effects occurring, Laser Essential & Skin Care specialist encourages patients to limit their exposure to sunlight before and after treatments. The number of treatments varies for each patient, and depends on a variety of factors including hair type, skin type and the stage of hair follicles being targeted. Typically, five to seven treatments are necessary to achieve the desired results of completely eliminating unwanted hair. Will I be restricted from activities such as work following a laser hair removal treatment? Typically, no. Patients can generally return to work immediately or resume all regular activities following a treatment, although Laser Essential & Skin Care specialist does encourage patients to avoid strenous physical activities 24 hours pre and post treatment. What kind of lasers does Laser Essential & Skin Care clinic use? Laser Essential & Skin Care clinic uses laser models that employ Long Pulsed Alexandrite & YAG laser technologies. 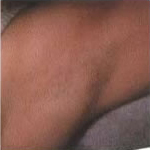 All of our lasers are FDA-approved as safe and effective means to achieve permanent hair removal. Upon examining your skin tone and hair color, our certified specialist at Laser Essential & Skin Care clinic will determine which laser is best for your specific needs. Prices vary depending on the type of procedure, the area to be treated, the number of treatments required, and other factors. Laser Essential & Skin Care clinic strives to offer the lowest prices of any laser hair removal clinic in Toronto, and offers financing plans to make procedures affordable to all clients. We will match anybody’s price on a comparable cosmetic laser procedure. Schedule a free consultation with Laser Essential & Skin Care clinic in Toronto and learn more about how affordable and competitive our laser hair removal pricing plans are.